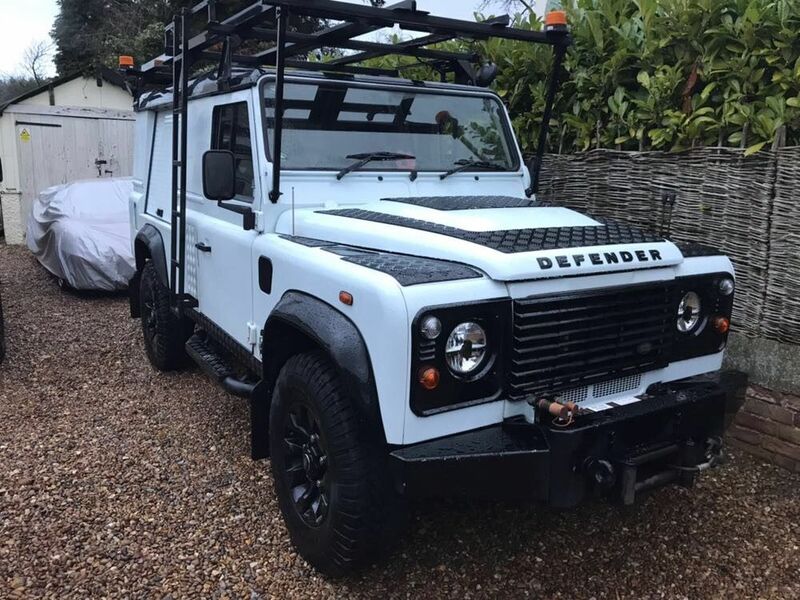 Land Rover Defender 2.4L Utility Vehicle . 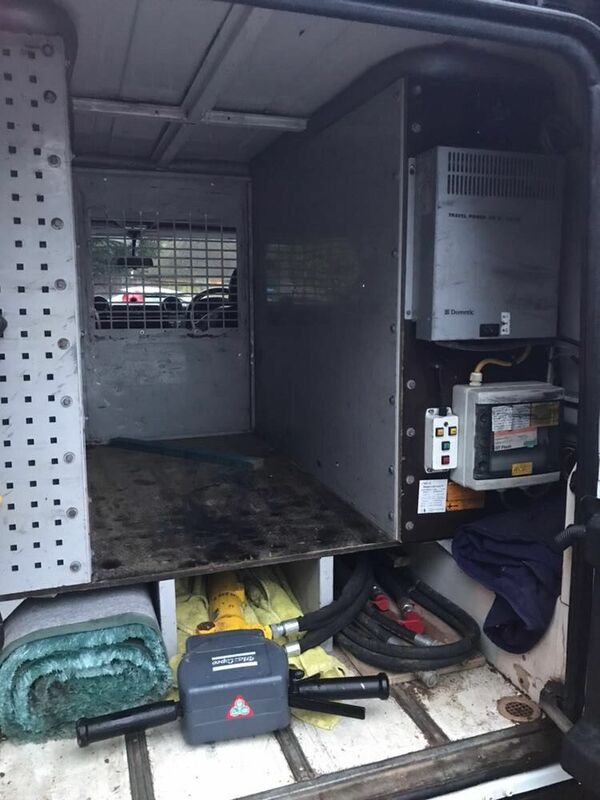 Ex BT converted 110 chassis at a cost of over 15k, including hydraulic PTO to power 2 tonne winch and auxiliary point for hydraulic tools such as breakers, cutters and chippers. 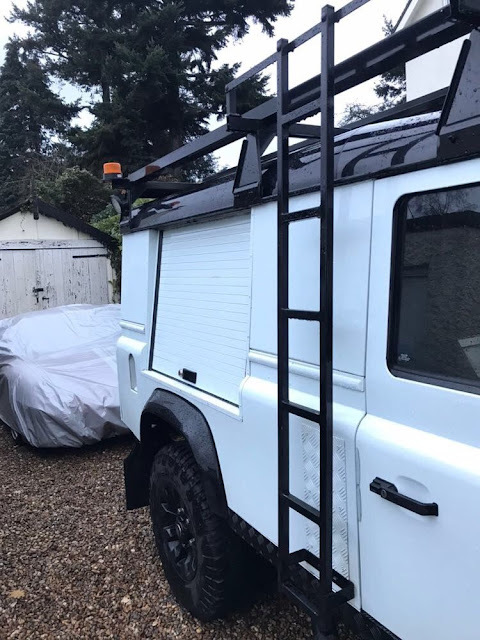 Put together for one of my directors it has been professionally painted this year in Land Rover Fuji White with Santorini Metallic black roof as per the LR black pack spec. It sits on new Genuine LR Sawtooth alloys including the spare and is running Goodyear Wrangler tyres, 2 of which are brand new. 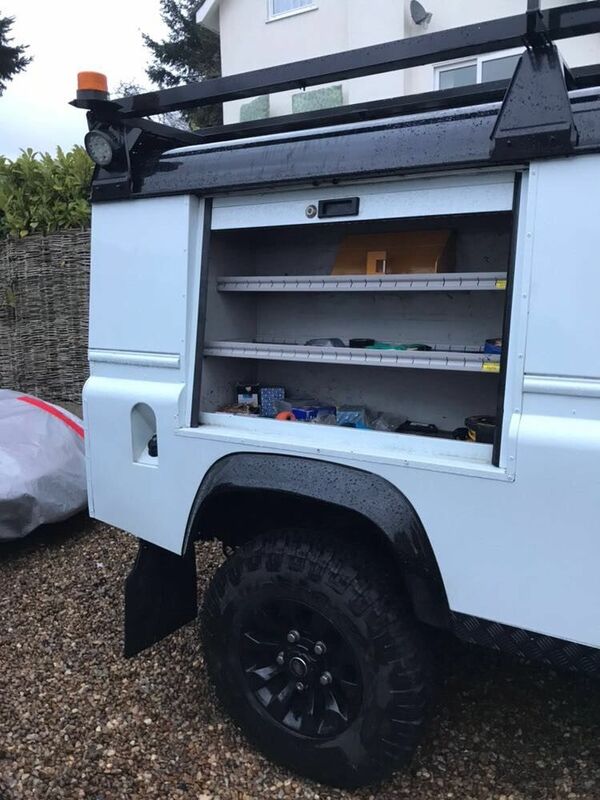 The conversions includes and 4 metre roof rack with integrated ladder rollers, digitally controlled night heater , 110 volt generator powered directly from the engine , gas locker, winch, PTO , LED worklights and beacons all round, side lockers aswell as rear storage. there are also 2 110 v sockets for exterior power. 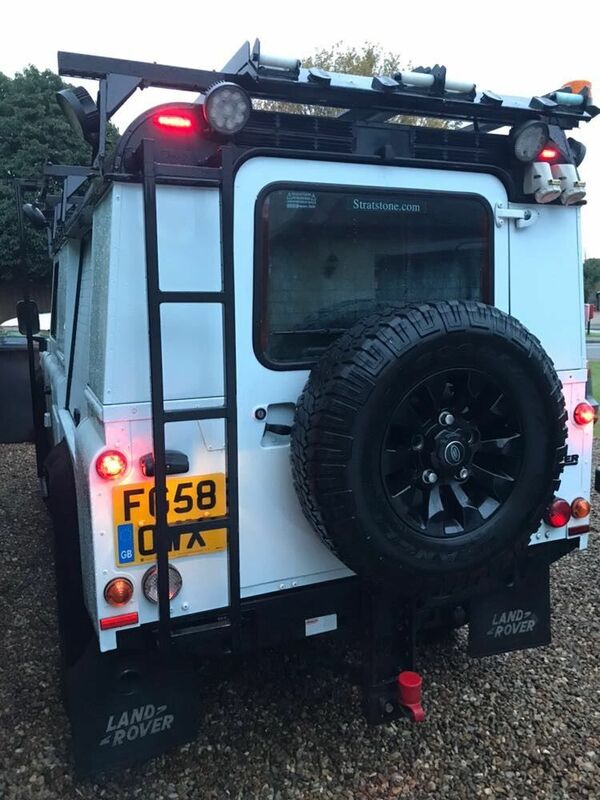 The rear axle is double springed for improved off road capability, adjustable height tow bar with full electrics. The headlights are RDX LED units which are just amazing, so much so I put them on all my fleet as they are that good. The engine has been professionally rebuildt this year including NEW barings, rings & liners, injectors and fuel rail, all gaskets and seals , new starter motor, new clutch and pressure plate. 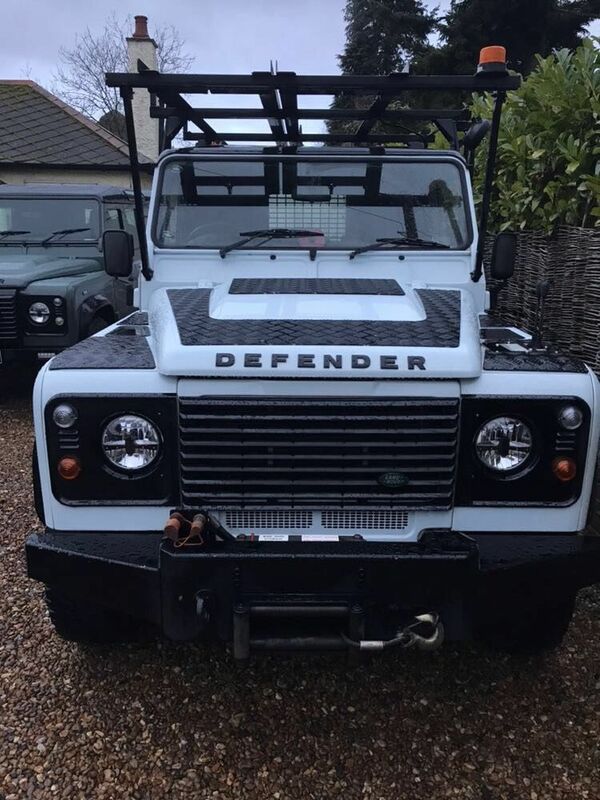 The bodywork is in perfect condition and is protected by a full colour coded heavy duty chequer plate kit, including behind the roof ladders. Having only 2 seats the vehicle tax is £260 per year the same as the newer 2.2L engined vehicles as opposed to £500 per year on the 4/5 seaters. The 110v system needs servicing as it has tripped out somewhere and i cannot find it. 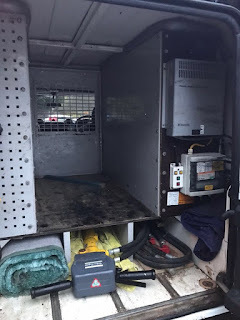 Although the generator is putting out the correct voltage its not reaching the exterior sockets so needs an auto electrician to work their magic . PLEASE NOTE: THE PRICE IS PLUS VAT!!!! THIS WILL BE ADDED TO THE FINAL AUCTION SALE PRICE!!!! !